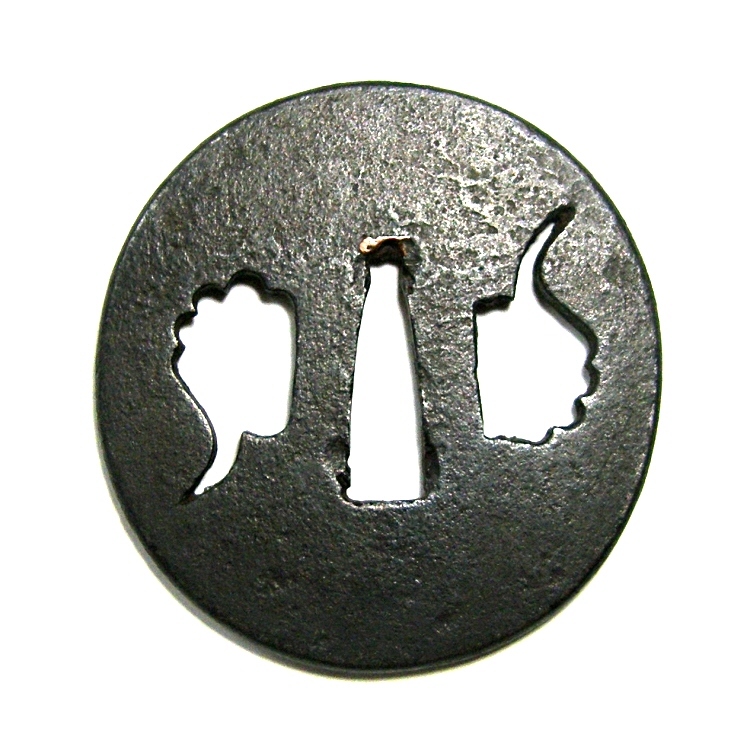 This sword guard must be categorized as "Tosho-Tsuba". 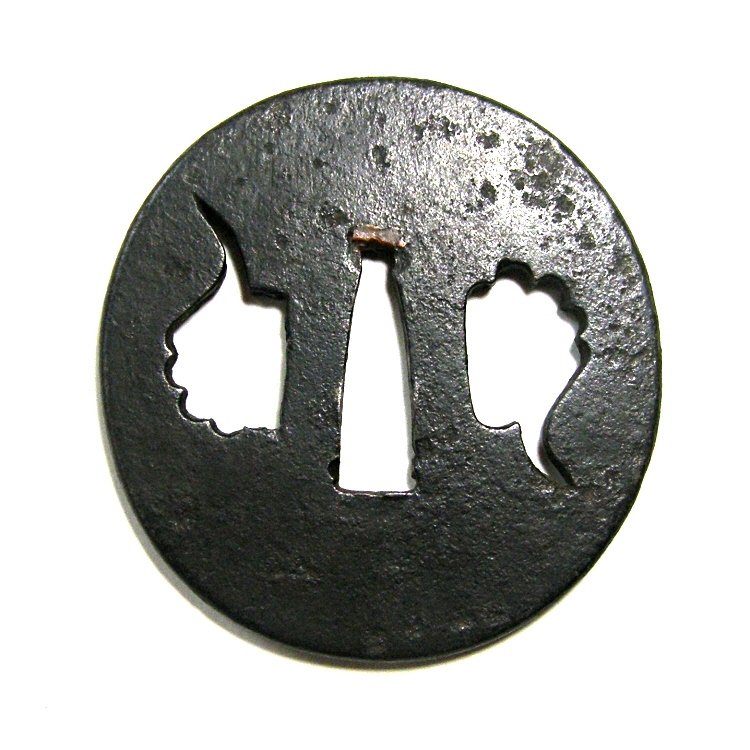 Tosho-Tsuba are always simple, therefore, tasteful. This tsuba is slightly rusty. Although, the color is nice as it is forged well. 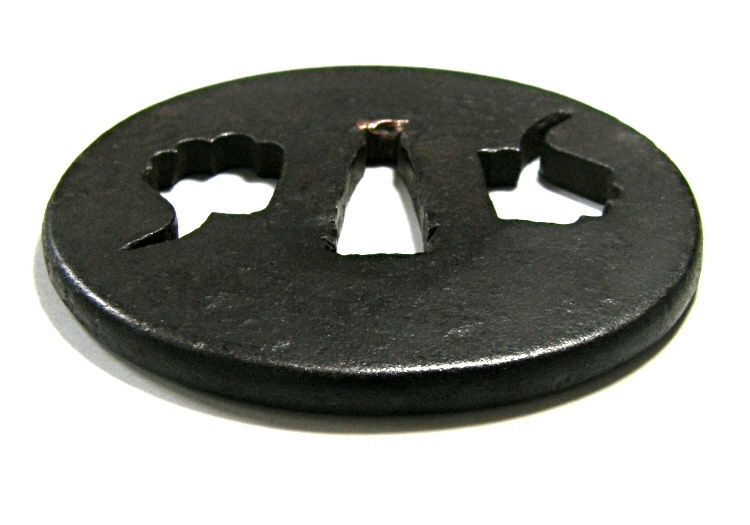 This tsuba is made from wrought iron plate. The surfaces are processed in hammer finish. Geometrical pattern is expressed in small openwork.